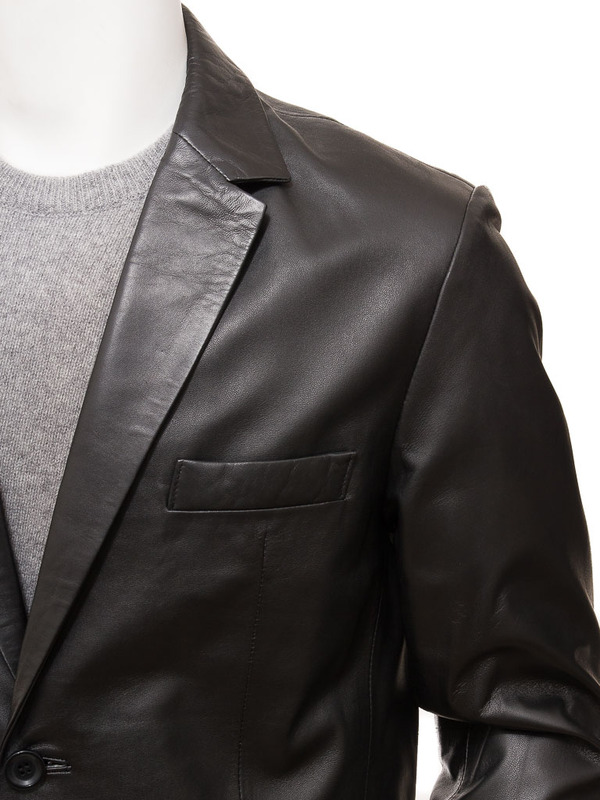 A slim, sophisticated black leather blazer in the softest, sheep nappa hide. This is a wardrobe essential, an investment piece that will provide sterling service for years to come. 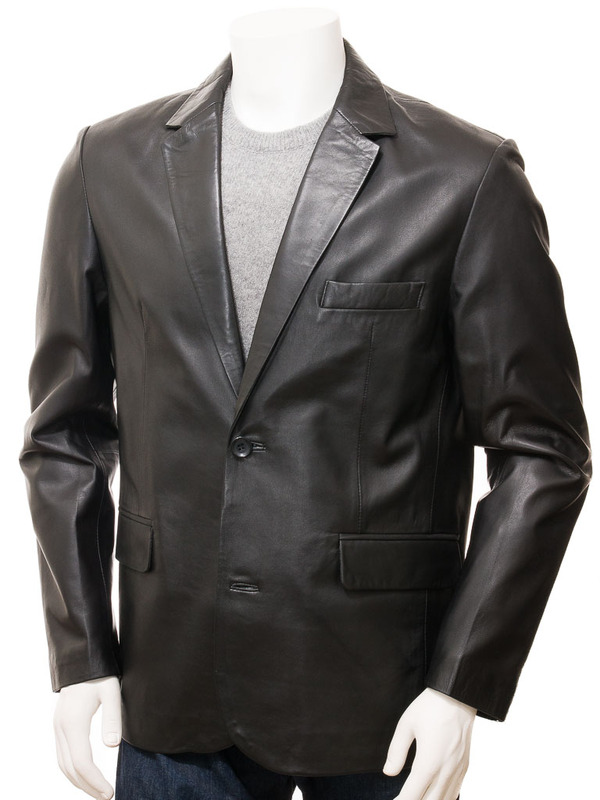 But it is important to choose a leather blazer with the highest quality of leather, like a sheep nappa which is buttery soft, has a soft, understated sheen and drapes perfectly. The tailored styling is based around a classic sartorial block of two buttoned single breasted front with slim, notched lapels. There is a breast pocket and two flapped hip pockets with four cuff buttons on either side. 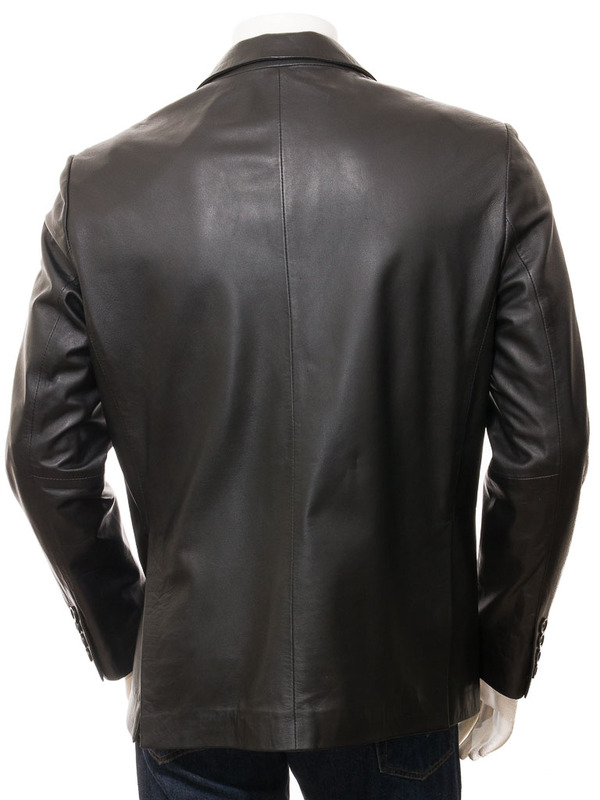 One important tip for recognising a leather jacket of the highest quality is to look at the size of the leather panels used. Better made jackets use expensive, larger single pieces of hide which are while cheaper ones tend to be constructed from smaller cuts. You will notice that this leather blazer uses just two, full length panels on the front and back. 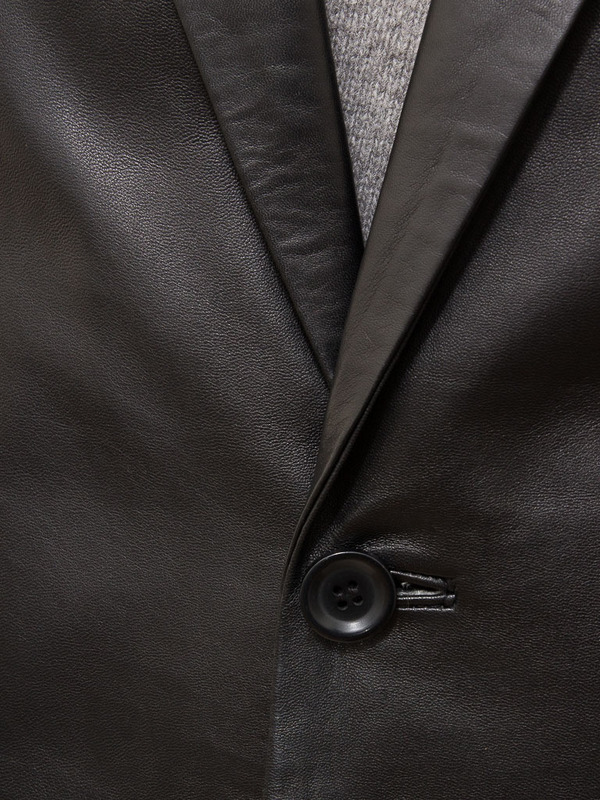 It is the same construction as our premium Magdeburg blazer but differs only in the number of vents on the back. This style has twin vents while the Magdeburg sports a slightly more casual single vent. Take a look inside and you will find a full satin lining with two more leather trimmed pockets, one of which is zipped for additional security.